Company: T.O. Lee Consultants Ltd.
T. O. Lee is an ICC DOCDEX letter of credit expert, being an Editorial Board member of ICC Publication 'Documentary Credits Insight' magazine and co-author of ICC Publication No. 548 'Special Report on China Trade - the Risk Factor'. He is rated as one of the 9 best L/C experts in the world by a global survey by "L/C Views" USA in 2005. He is a member of the UCP 600 Consulting Group appointed by ICC Paris. His opinions are adopted in ICC banking rules such as the UCP 600, ISBP 681, UCP 500 Position Papers, URC 522, URR 525, DOCDEX, ISP 98, eUCP and ICC Opinions. He provides expert witness services to international law firms and training services to Fortune 500 corporations and banking institutes. He works with the ICC Commercial Crime Bureau in prevention of international trade frauds in Hong Kong and Toronto. 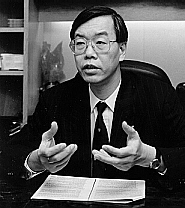 Highlights of L/C dispute cases resolved, CDCS case studies and articles he wrote for ICC, Lloyd's of London Press and the Hong Kong Economic Journal as a columnist can be viewed from his web site: http://www.tolee.com.